During the 1950s, there was a renewed sense of style and design from consumer down Products to fashion and beyond. This design movement coined the term mid-century modern which became a leading design movement. Finished in polished nickel, this collection embodies the excitement of the time period with laser cut circles, opal etched cylindrical glass, and a white diffuser that accents the drum and vanity fixtures. The seven-light chandelier from the Elina Collection spins a traditional classic and modern form by exaggerating its heirloom quality details. The fixture's tall, trumpeted opal glass, K9 glass orb accents and polished nickel finish create a distinctive silhouette. A beautiful centrepiece for any room decor. 3-Light Ceiling Mount Polished Nickel Chandelier During the 1950s, there was a renewed sense of style and design from consumer down Products to fashion and beyond. This design movement coined the term mid-century modern which became a leading design movement. 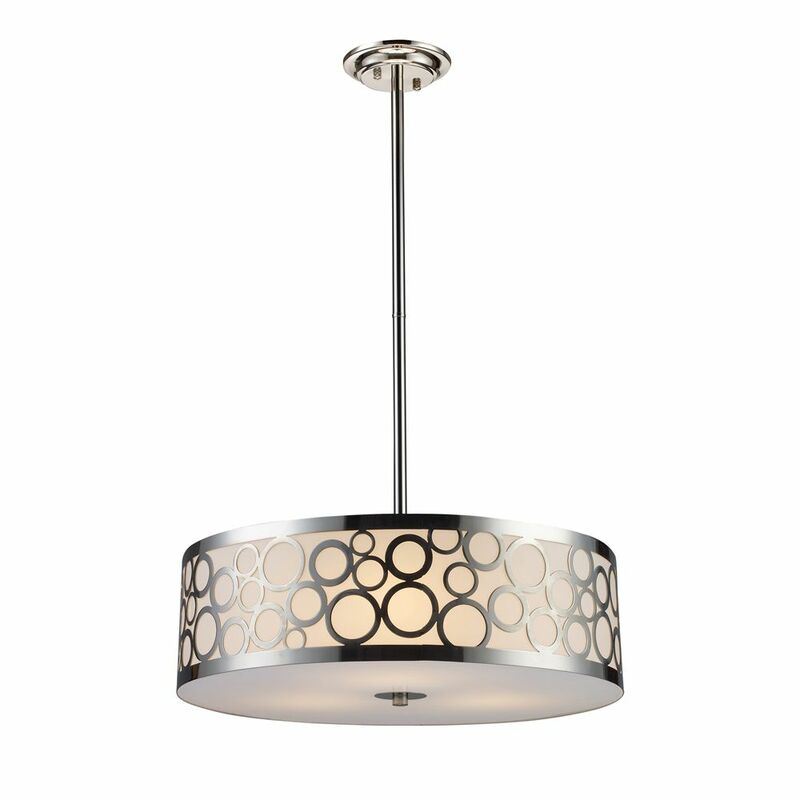 Finished in polished nickel, this collection embodies the excitement of the time period with laser cut circles, opal etched cylindrical glass, and a white diffuser that accents the drum and vanity fixtures.